If you pay for a good or service, don’t you expect some benefit in return? If you walked into a McDonald’s, ordered a burger, saw it rang-up on the register, and gave them your money, you’d expect within a minute or two to have a burger, right? If five-minutes went by you might point-out to an employee that your order had yet to be filled, right? If a longer-than-average time went by you may even be comped some extra food as a way to lessen any ill-will that may have developed from the lackluster service. Such deliverables – the supply of a good or service paid for, or even adequate customer service, are entirely void from policing as it’s currently structured. Not only are police “customers” told to pay “or else” (talk about perverse incentives), but courts (proving just who they serve) have ruled that police employees have no obligation to provide you, as an individual, any good or service. But aren’t police are here to protect us!? Not so much. A situation in NYC, in which a non-badge wearing man subdued a knife-wielding killer, while badge-wearing individuals looked on, underscores this fact. Lozito sued for negligence, but city lawyers say his demand for unspecified money damages should be tossed because the police had no “special duty” to protect him or any individual on the train that day—there’s a long-standing legal precedent requiring cops to put the public safety of all ahead of any one individual’s rights. Castle Rock v. Gonzales, which found police employees had “qualified immunity” (legal land language that purports to shield individuals from personal responsibility) and thus could not be sued, after three kids were killed by the husband of a woman who’d three weeks prior gotten a restraining order that stipulated that he be at least 100 yards from her and their three daughters except during specified visitation time. This, despite four calls made by the woman to police, after the kids were snatched-up, including one in which she informed them of the location of the husband and their children. Balistreri v. Pacifica Police Department, in which legal land “authorities” stated that police had no constitutional duty to protect people from crime, after a woman, who’d filed numerous complaints and had gotten restraining order, was continually harassed and had her property vandalized by her ex-husband. DeShaney v. Winnebago County, which found that those who purport the right to steal money from others in the area to protect kids were not culpable after releasing a boy, into his father’s custody despite repeated evidence of abuse, including one bout that left him “profoundly retarded” and likely to spend the rest of his life institutionalized. But should one really be too surprised? After all, police, and the courts that claim to administer justice, are coercive monopolies. Its actors claim a right to steal your money. Things won’t change for the better by sitting idly by. In fact, once such a double-standard is allowed-for, it will only grow and become more tyrannical. Is that the world you want to live in, or that you want to leave for future generations? Consider a better alternative. 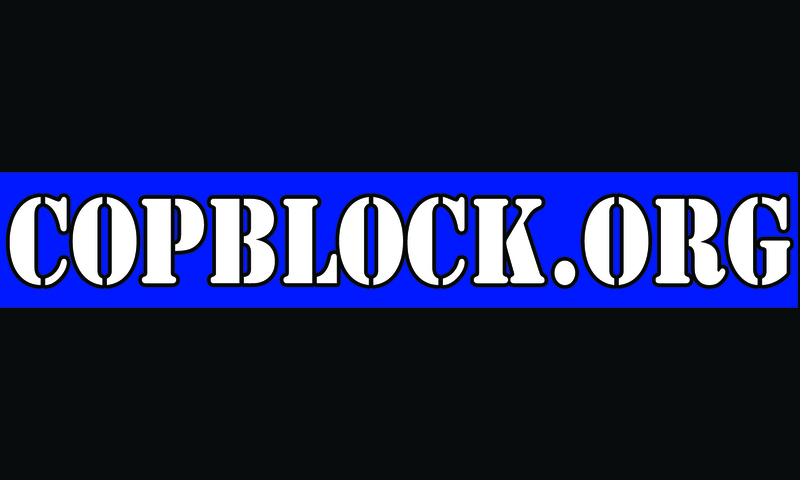 Check out CopBlock.org/Knowledge, watch this video, think for yourself, then act accordingly! Back in February 2011, a 24-year-old Brooklyn man went on a 28-hour stabbing rampage across Brooklyn and Manhattan, killing four people and injuring four others. 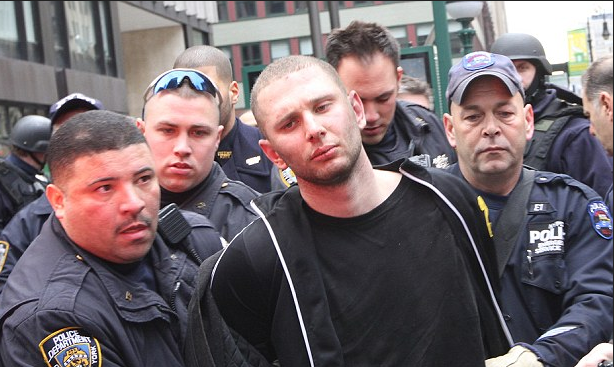 An unremorseful Maksim Gelman later admitted to the deaths and was sentenced to 200 years-to-life in prison. His last victim, straphanger Joseph Lozito, later sued the police for not doing more to prevent the madman’s actions and not coming to his aid in a timely fashion. And now, city lawyers are arguing that the NYPD had no “special duty” to protect him during the attack, despite the fact that cops were on the train at the time and may have been too scared to engage with Gelman. Lozito was taking the subway from Penn Station to West 66th Street to go to his job at the Alice Tully Hall box office when he was confronted by Gelman on February 12, 2011. 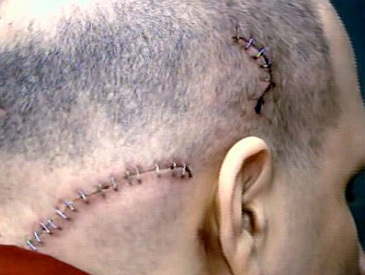 Lozito said that Gelman was wildly pounding on the motorman’s door, pretending to be a cop, when he turned to him and said, “You are going to die.” Gelman lunged at the 6-foot-2, 270-pound Lozito with a knife, stabbing him multiple times in the head. But Lozito was able to use some MMA moves to pin him to the ground. Afterwards, officer Terrance Howell tapped him on the shoulder and said he could get up: “By the time he got there, the dirty work was already done,” Lozito said. Lozito sued for negligence, but city lawyers say his demand for unspecified money damages should be tossed because the police had no “special duty” to protect him or any individual on the train that day—there’s a long-standing legal precedent requiring cops to put the public safety of all ahead of any one individual’s rights. According to the official NYPD account and Howell’s affidavit, Howell was the one who tackled and subdued Gelman.